Apparently taking the name of Fox’s ADHD programming block not as a clever allusion to shortening attention spans, but as an actual challenge, Cartoon Network has released a new smartphone app designed to give kids an endless, looping stream of 15-second TV clips. The network is describing the app, Cartoon Network Anything, as a “micro-network,” designed to feed a constant stream of videos, games, polls, and—of course—ads from sponsor McDonald’s to its target demographic of boys aged 6 to 11. 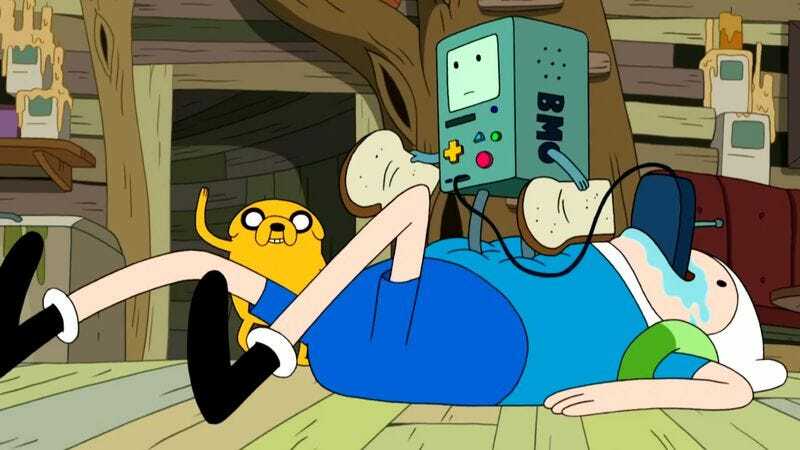 The clips will be taken from the network’s popular shows, like The Amazing World Of Gumball, Adventure Time, and Just A Bunch Of People Screaming And Random Shapes And Fart Sounds, Because Your Slackjawed, Overstimulated Spawn Will Mindlessly Stare At Anything That’s Loud And Bright. The app is launching with 400 pieces of let’s-call-it content, with more to be added in coming weeks.